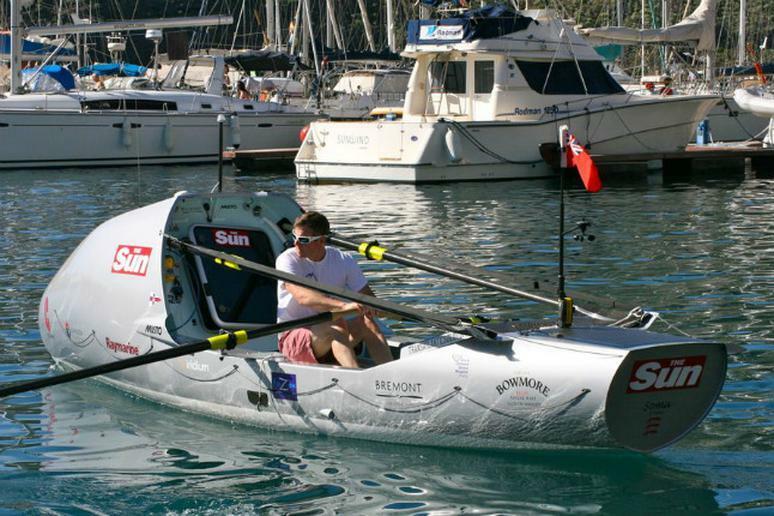 Ocean rower Charlie Pitcher completed his solo crossing of the Atlantic Ocean on March 14 and achieved his goal of setting a new world record in the process. Pitcher set out from La Gomera, an island off the coast of Africa, last month and arrived in Barbados in the Caribbean on Wednesday. Total time for the 2900-mile (4667 km) crossing? Just 35 days, 33 minutes. That shatters the old record by more than five days. Pitcher attributes his great success to perfect timing for his start, great weather and the best possible equipment. His boat was custom built just for this voyage with a carbon-fiber hull and a 100 percent green-energy footprint. The 6.5-meter (21-foot) vessel featured state-of-the-art desalinization systems and the ability to self-right following a capsizing. That happened twice during the crossing. The boat was also knocked down on four occasions. Over the course of his 4 plus weeks at sea, Pitcher managed to average more than 82 miles per day. That's a pretty impressive number for a solo rower. His goal was to become the first person to cross in under 40 days, and he managed to smash the old record, which was 40 days, 9 hours, 44 minutes. Pitcher used his Atlantic crossing to raise awareness and funds for two of his favorite charities, the Great Ormond Street Hospital and The C Group—an organization dedicated to helping British marines in need.